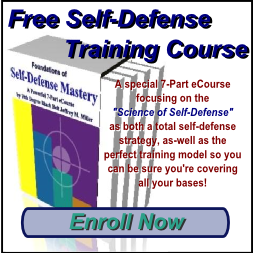 Many practitioners, including karate and so-called self-defense experts really don't know where to start when it comes to mastering the ability to protect yourself against a real-world violent attacker. This article takes a look at the two-fold approach that I share with anyone who's serious about surviving a criminal attack. 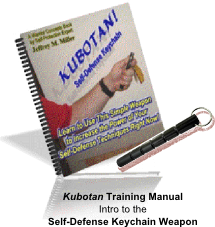 To look at the everyday approach to martial arts and self-defense instruction, the typical approach seems to be to simply get a few of preset, earn some cool-looking belt or maybe a certificate of some sort, and presto, you're a master. Right? If that's true, then why are so many so-called experts becoming victims to real attackers? 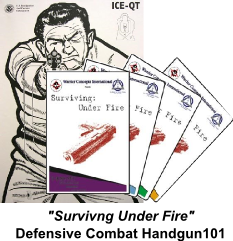 Why, if this stuff works in martial arts school or self-defense class, are these infalible skills failing horribly on the street, when dealing with real-world attacks thrown by brutal, real-world aggressors? There are lots of possibilities but I think the primary one is that, for the most part, these programs are simply a matter of the blind leading the blind. What I mean is that students, who are lacking experience in handling violence, are attempting get something from so-called experts who, themselves, are lacking street experience at dealing with and winning real world attack situations. 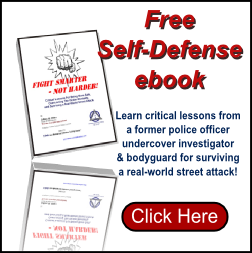 So, what do you need to survive a street self-defense situation? 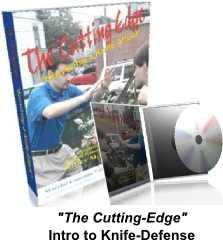 My perspective on the whole self-defense approach, and what I teach my clients, is 2 sided. 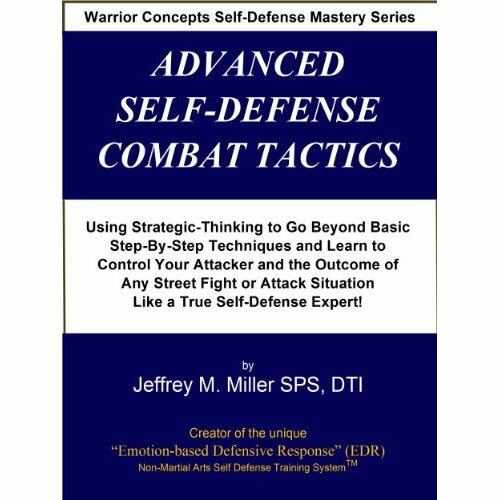 To begin with, be trained in as many options as possible so that you can react in different situations and against a variety of assailants. Secondly, in the moment, when an attack is taking place, the defender must be able to react to and handle the violence itself - regardless of where it comes from or what's behind it. The second relates to attitude, or "heart." 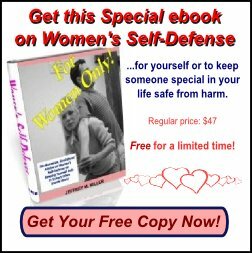 Regardless of how sure you are, or feel in class with your friends, peers, and juniors, what matters in a real self-defense encounter is how you respond and deal with the raw, animalistic violence being thrown at you by an attacker who isn't pulling his punches and couldn't care less about your well-being at all. Will you focus or freeze? The only thing that will matter is what no one else but you will do when that moment is upon you. Reminds me of the flight ride I was put on to the tiny island of Grenada when I was in the Army all those years ago. While I sat there, focusing on the far side of the aircraft and thinking about what I would do when I was actually in a real combat zone (assuming we didn't get blown out of the sky first), I heard other guys farther back in the aircraft actually crying. Ironically, these were the same guys who, during practice field exercises where we trained for real combat, ran around as-if they were John Wayne and Steven Seagal, acting tough and bragging to everyone that they were ready to go to war right then and there. Well, here we were - here was their chance - and they were the least-prepared to deal with the intense reality of the situation. Your training must insure that you can deal with both his physical attacks, whatever they may be, and you must be able commit yourself to winning by dealing with the rage and raw brutality that is a natural part of combat. Two sides to the same coin. Both critical for success. So, review what you've learned so far, and make sure that you do so with the eyes of a critic, not a blind believer. Check out the news. 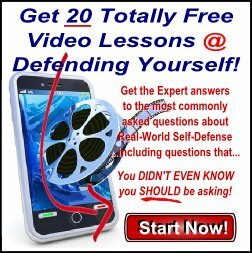 Ask some law enforcement or security professionals, bouncers, or even combat veterans what it's really like inside a actual self-defense situation with someone who wants to beat, break, or kill you. Then, all assumptions aside, set out to fill in the missing pieces to make sure that you'll get out in one piece, and not end up on the wrong side of the grass! 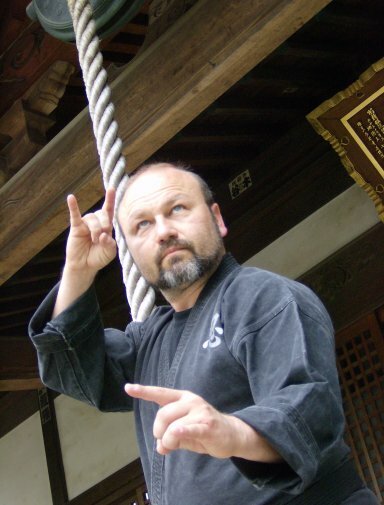 For additional information about how Jeffrey Miller or Warrior Concepts can help you transform yourself with the secrets of the ancient Ninja Warriors, go to the Home page or call WCI at 570-988-2228.